Welcome to the reveal night here with Studio Calico's newest kit release, Office Hours. I'm super happy that you stopped by to take a closer look at my projects that use the Card Kit and add on, Water Cooler. 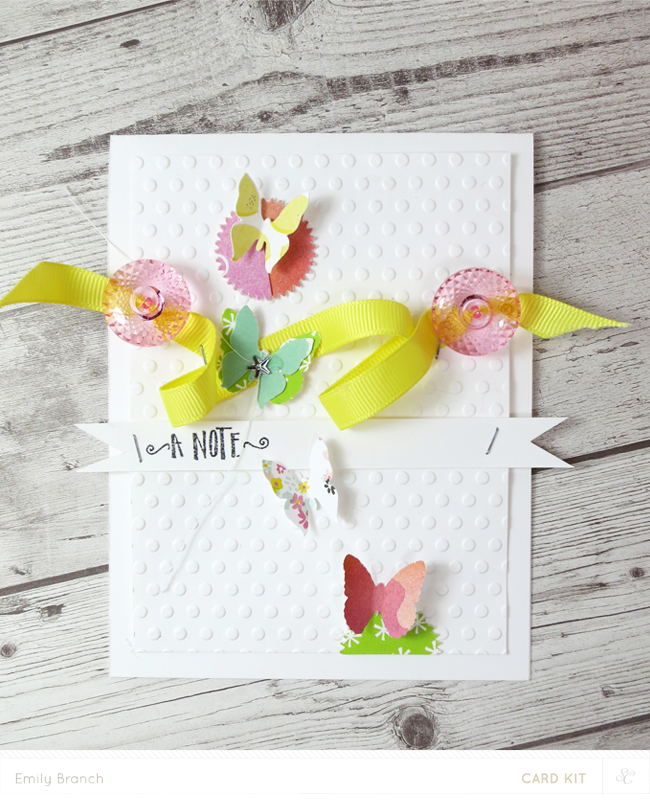 I was attracted to this month's kit because of the mix of lovely patterned paper and the versatility of the stamps in the kits. 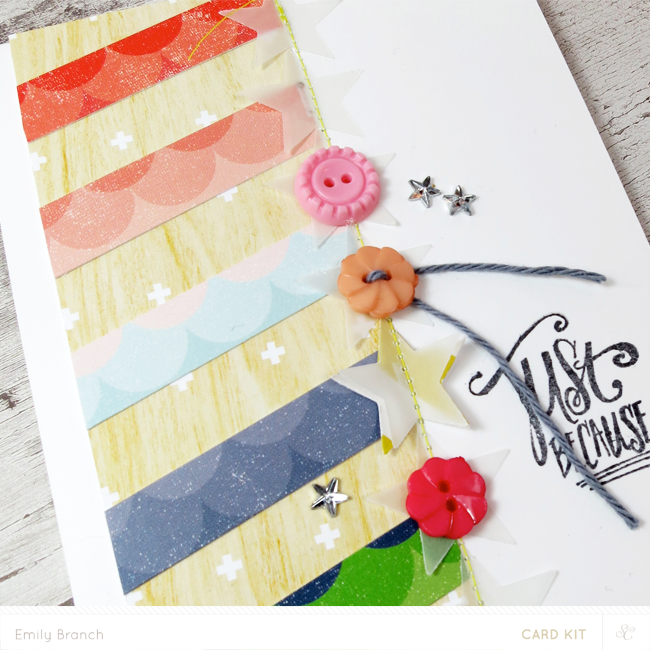 I like mixing seemingly unrelated collections, colors, patterns and elements to my projects, and this month's Card Kit was perfect for that. This first card uses product from the main card kit. I created a white card base using the More White cardstock bundle, and then stamped these trendy plus signs onto the cardstock. 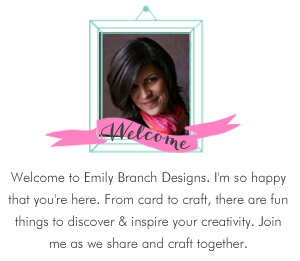 I layered a patterned paper block with a pinked edge over the stamped image to soften the pattern. Some green patterned paper strips are stitched along the edge of the card. 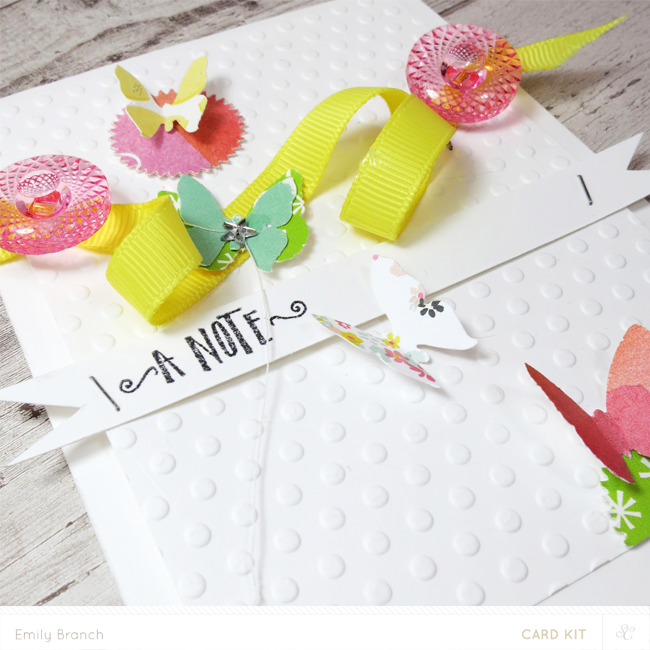 The flower was made using ribbon from the card kit. All I did was fold and roll the trim into a circle, securing it with hot glue, and then added a button for the flower center. The leaves were made with a circle punch. Just punch a circle from patterned paper, and then punch that circle again to create the leaf; it's that simple. 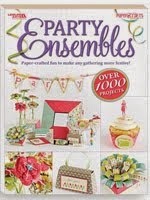 I absolutely adore the banner stamp and the little images that coordinate perfectly with it. 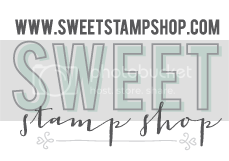 I stamped the banner using Sunny Day ink from Studio Calico's new dye ink line, and stamped the sentiment with the yummy Mint Hint ink, which is quickly becoming my new favorite color. These ink pads are perfect, not only do they stamp a clear, rich image, but they're true to color on the packaging. Plus, they're great to store since they're narrow and designed to perfectly stack on one another! This card was also made using the main card kit. Again I started with a white card base using the More White cardstock bundle, and added a notched strip of patterned paper. 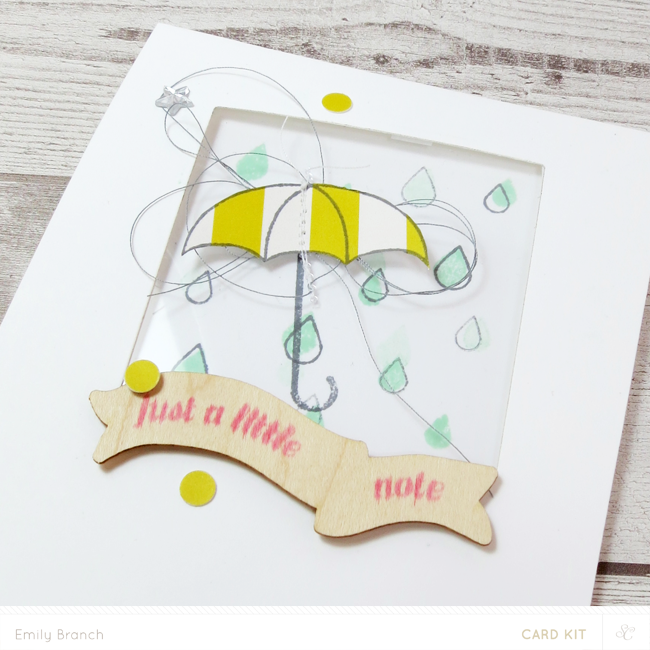 Included in this month's kit was a small piece of acetate transparency, and I thought it would be perfect for creating a cute little window on the card front. I really liked how the design came out! The main kit also comes with little wood veneer banners that work perfectly with the banner stamp, so I added the wood veneer to the card front for some texture and stamped the sentiment using Coral Bay ink. To create the window stamped effect, I die cut a rectangle from the card front and backed it with the transparency. 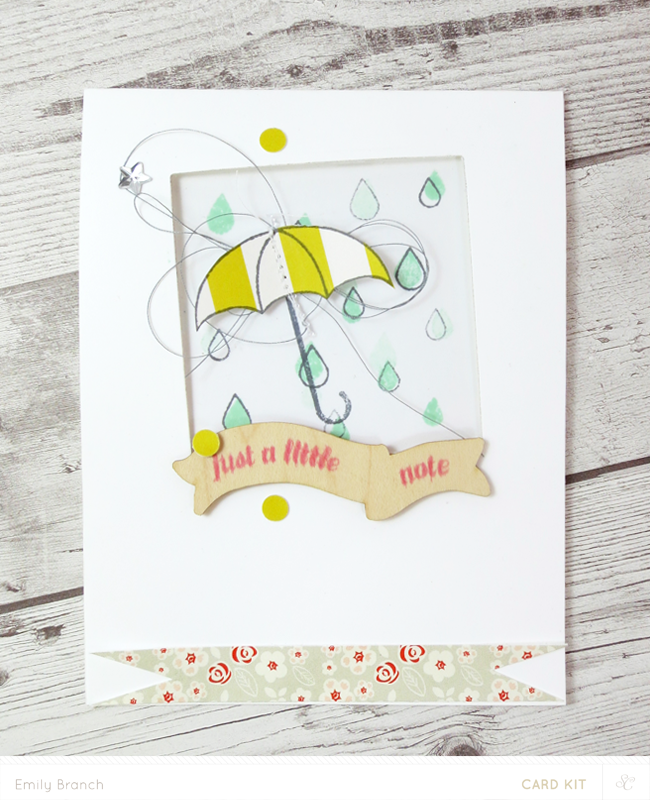 Then I stamped rain drops using Mint Hint and Clean Slate on the inside of the card base, slightly off-setting the images. I stamped the umbrella image on some patterned paper, trimmed and stitched it to the acetate window, but made sure to stamp the umbrella image on the inside of the card, so that the ink wouldn't smear. I love the way the card looks with the image layered like this. I hope you're not too tired of the white card bases. I love the More White cardstock bundle so much. 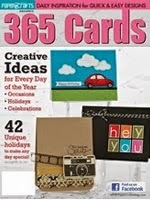 The weight is perfect, not too thick, but super sturdy and it creases nicely for cards. For this card I made a white card base and embossed the bottom edge with raised dots. For the main image, I used a technique called second generation stamping to create lighter colored clouds. First, I would ink the cloud with Clean Slate and stamp that image on piece of scratch paper, and then stamp the cloud again (without re-inking) on the card. The result is a lighter image, which is exactly what I wanted. 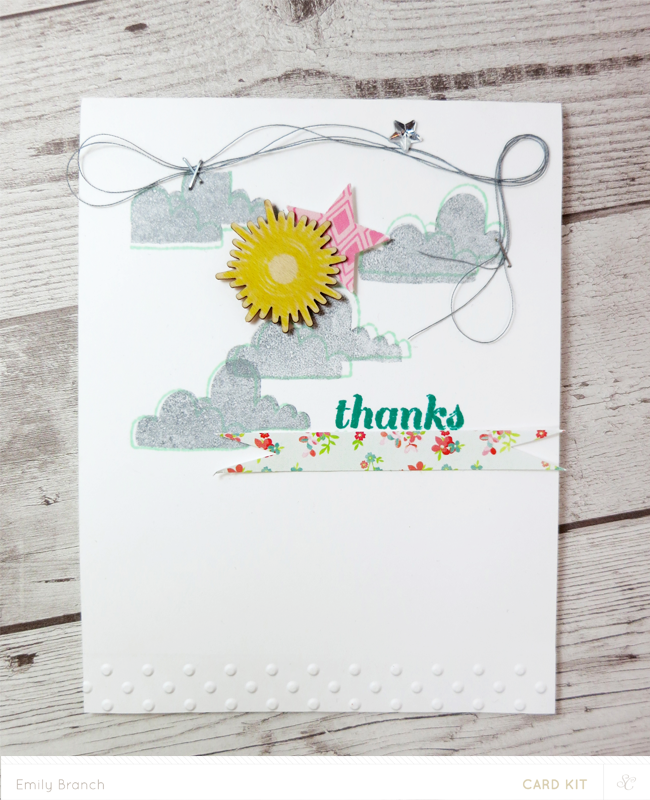 I then outline the clouds by stamping the cloud outline slightly offset with Mint Hint ink. I added a loose bit of thread detail and some star stickers and stamped the sentiment using Emerald City. 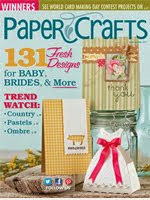 A little strip of patterned paper adds some pretty color and pattern. The Water Cooler add on is just as inspirational as the main card kit. 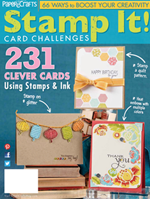 Lots of fabulous patterned paper, and super cute stamps. My favorite patterned paper from this kit were the beautiful clouds, the woodgrain pattern with plus signs and all the pinks. For this card, I used the More White cardstock bundle to create a card base and embossed white dots at an angle. I trimmed a vellum rectangle base and stapled it to the card base. Hand-cut lettering and shapes are trending right now, so I hand cut some hearts and then layered them along with the silver twine and chipboard hearts to the vellum base. A punch of green patterned paper grounds the hearts and a simple thank you finishes off the look. I think this card is my favorite this month! I love how all the elements form the Water Cooler kit came together to create a soft and pretty feel. I embossed some white cardstock with a raised dot embossing folder and adhered it with foam dots. The pretty yellow ribbon was threaded through the pink buttons which was a little tricky at first. To get a thick ribbon through a very tiny hole, trim the ribbon's edges at a slant, there is a point and pull that pointed tip through the button's hole. I made sure that the ribbon was looped a little for extra dimension. I then punched butterflies and stardust circles from patterned paper and stitched some to the card, bending the wings for some added dimension. 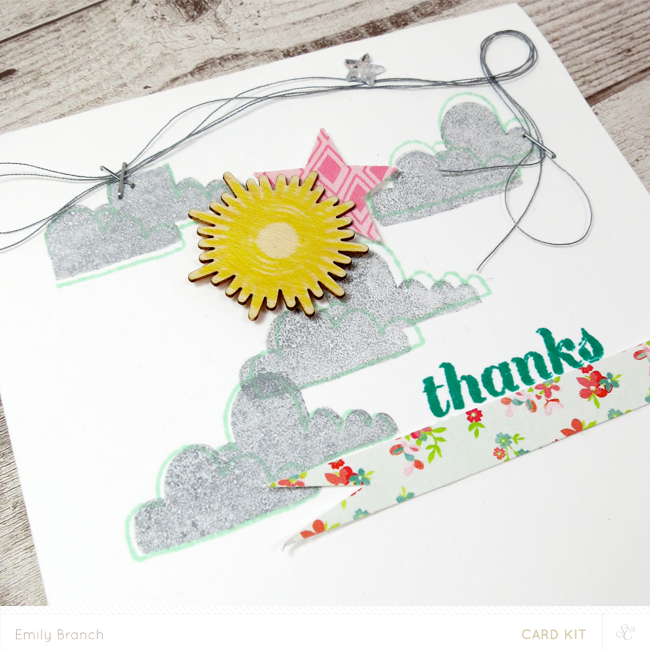 A simple strip of cardstock notched at the ends showcases the sentiment. This last card uses both the main card kit and the add on, Water Cooler. I created a card base with the More White cardstock bundle and then added a strip of the woodgrain patterned paper with the plus signs from Water Cooler. 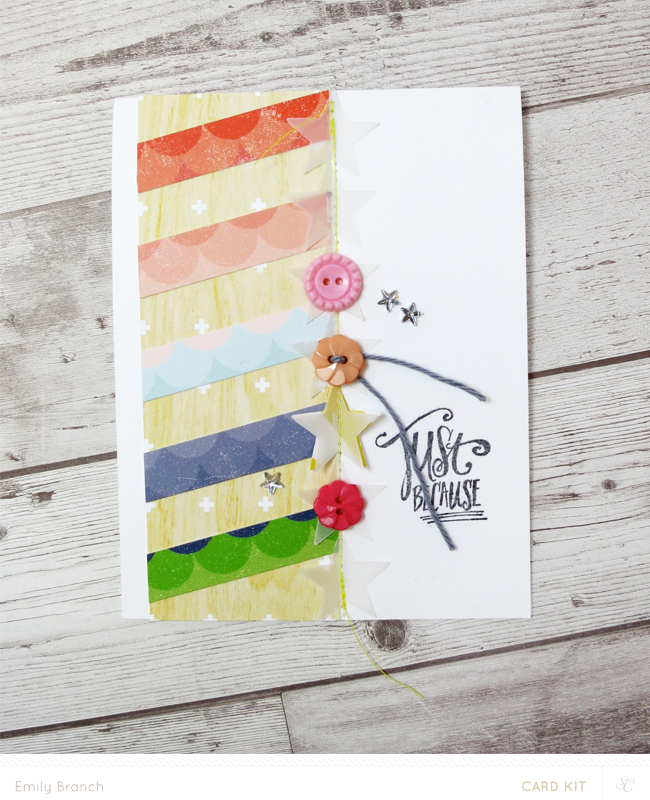 Strips of ombre patterned paper from the main card kit add a pop of color. A vellum star border is stitched down the center edge of the card with some buttons form the main card kit, and a simple sentiment finishes off the card. If you're a subscriber, kits and new product go live at noon (EST), but if you're not a subscriber you can snag these fabulous kits at midnight (EST) tonight!